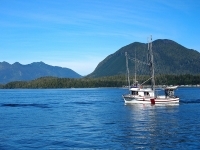 Within Victoria, where many travellers choose to stay while exploring Vancouver Island, some quality sightseeing can be enjoyed. Notably, the British Columbia Parliament Buildings are hard to miss and well worth a tour. 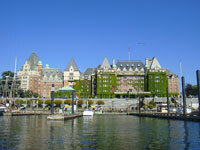 The Inner Harbour is a tourist hotspot, with restaurants and shops aplenty; the Royal British Columbia Museum rates as one of the best small museums in the world among travellers; and the Butchart Gardens beg to be picnicked in. Those in search of actual Victorian charm should visit Craigdarroch Castle, an imposing mansion once owned by a coal tycoon which boasts lovely views of downtown Victoria. For those travelling with families, there are a number of wonderful attractions for kids in Victoria, including the Victoria Bug Zoo, the Victoria Butterfly Gardens, and Miniature World. 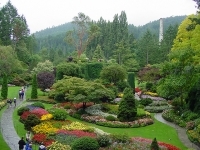 The prime tourist sites on Vancouver Island, apart from the ski resorts, include the wine-producing Cowichan Valley, the Goldstream Provincial Park and Juan de Fuca Provincial Park, and the quaint town of Sooke on the southwestern tip of the island.